I have been a licensed radio ham since may 1998 and although I have been prevalent on the bands I haven't been to active on the HF bands. but her are all the e-qsl cards I have recieved, I plan to take pictures of those Paper one I have received too and may post them here later. but for now just have a look at the paltry few I have acquired . 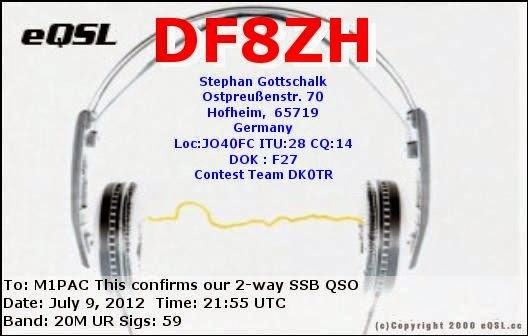 Pride of place must go to the 2 I most contacted and sent e-qsl's to .